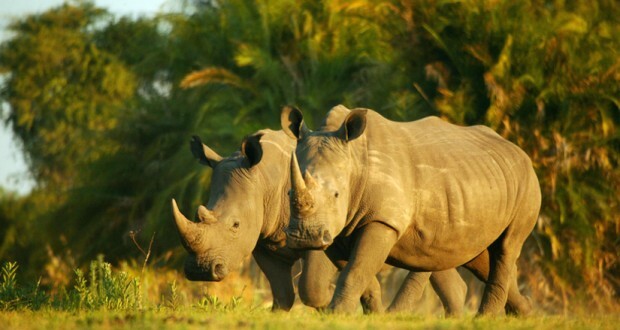 As part of the #RhinosWithoutBorders fundraising initiative to move 100 rhinos to Botswana in 2015, a joint collaboration between Great Plains Conservation and &Beyond, the Great Plains Foundation will be donating its revenue for each booking made for travel in the period 1 November 2014 to 31 May 2015 to the project. Participating camps include Duba Plains Camp; Zarafa Camp & Dhow Suites; Selinda Camp; and Selinda Explorers Camp. To book you must quote ‘Rhinos Without Borders’ and send your request to info@greatplainsfoundation.com. This is really important as without mentioning these we cannot allocate our bed night funds to the rhinos project. You, or your ground handler, will get a confirmation through the Great Plains Foundation (please allow 24 hours for a confirmation as the Foundation is based West Coast USA). To put this offer in perspective, five average stay bookings for two people to one of our camps will save one rhino! Your booking, therefore, can make a direct difference to saving white and black rhinos and to establish breeding populations in Botswana.